“They wrote,” he said, and then paused. “Well, writing is such a strong word. They had plays without order, without plans. Then later, how they paid the actors depended on who became the most popular that day on the stage. The most popular actors got the most money, and popularity depended on how you were received on stage. So each actor tried to be more popular. Even if you were coming on stage for five minutes, you tried to use that time to become popular, so you walked in a funny way, you changed your voice to sound funny. The five minutes became 15 minutes and they had to take you off stage. If you refused to pay heed to the director telling you to get off stage, other actors would come to pull you away. You refused and fights ensued. I heard this story on June 28 2011, on an early, misty evening. The old theatre hand—old for his much experience and not age—had something of the evening about his brows as he spoke. He had grown up in a family well-connected to theatre. He had memories of the 1970s; to be more precise, memories of early 1977, when theatre in the country was approaching something a climax. Not the sort of culmination that comes from full development, as when drama on a Brechtian scale signals that years of doing things the old way have been upstaged. The 1970s were for Uganda the years when the lights started to go out. 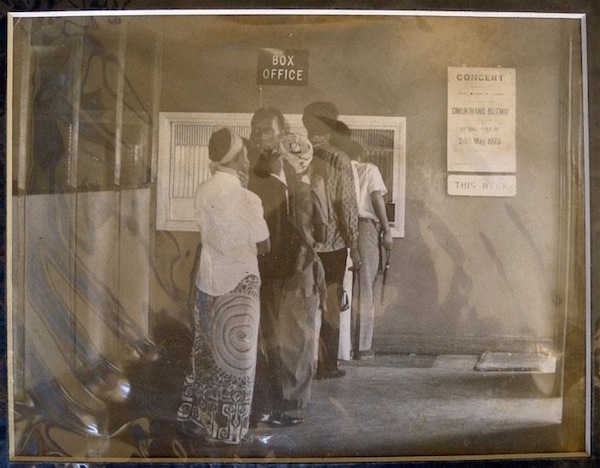 In the ranks of Ugandans who had fled the country, and who never made it out of the decade, and a big rank it was, dramatists were among the number. Soldiers appeared at the National Theatre in 1977 and dragged then director of the National Theatre, Byron Kawadwa from rehearsals. A military tribunal had in secret passed a death sentence on him and five of his colleagues. The murder of Kawadwa swiftly brought to an end what had been one of the more inspiring intellectual centres in Africa at the time. 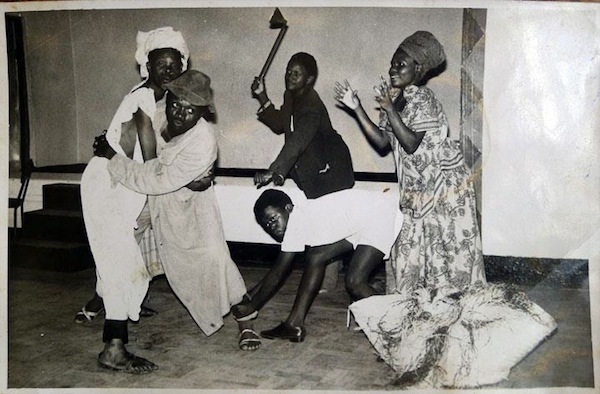 In the years since decolonization, Kawadwa, along with Wycliffe Kiyingi, credited and at times called the grandfather of playwriting in Uganda, and Robert Serumaga, undoubtedly the most brilliant of the playwrights, had created between them vibrant theatrical groups like Ngoma Players, Makonde Theatre Limited and Abafumi. The friend I was speaking to had known these men personally as a child. The decline of a craft they had paid in blood for was not something he could describe casually. It was a somber evening, a somber topic—the decline of Ugandan theatre—to be talking about. I almost missed his tone. Mid-way I started to pick up on the satire. He had spoken deadpan, passing on important information, simply describing the best as he could what he had witnessed. He did not intend it to be funny. My shoulders slacked. I put my drink down to absorb it, actions which came in the place of laughter. Deadpan sarcasm was his style, a dramatic staging of the personal that heightened the effect. Yet bathetic theatre was not something new to me, which made it the more serious, for had what he was describing been new to me, I would have laughed at the incongruity. Much of what passed for television drama in the 1990s resonated with what he was saying. But back in the 1990s, as a culture critic who was also channeling from critics I had read elsewhere, television for me could be understandably wanting. I held it that theatre was the sacrosanct space upon which serious work took place. So when he described to me the backstage theatrics of the companies that went to the National Theatre in the later years, it was not with mirth that I received his words. I was very much alarmed. More than thirty years since the martyrdom of Kawadwa, Serumaga and many other dramatists and actors, we were down in the pits, the shadows of decline and the grimes of obsolescence casting darkness upon us, so much higher, where it was sunny and prosperous, were the theatre innovators who had once made the National Theatre such a force in the East African region. He was describing what the 1990s and early noughties had wrought upon culture. By around that time, the cropping of the late 1970s had made itself felt. Few names, with the exceptions of Rose Mbowa and Alex Mukulu raised much attention. Theatre was comatose. The putrid display of common garden dramatic groups was too much for the National Theatre to bear. 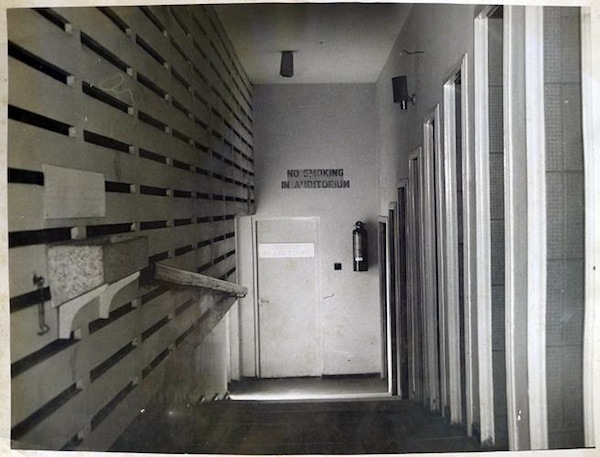 It was henceforth demanded that they produce schedules and scripts, a demand that left the National with such groups as only the Kampala Dramatic Arts Society. Where once there had been Oluyimba Lwa Wankoko, what watchable fare the National hosted might be The Importance of Being Ernest, As You Like It. 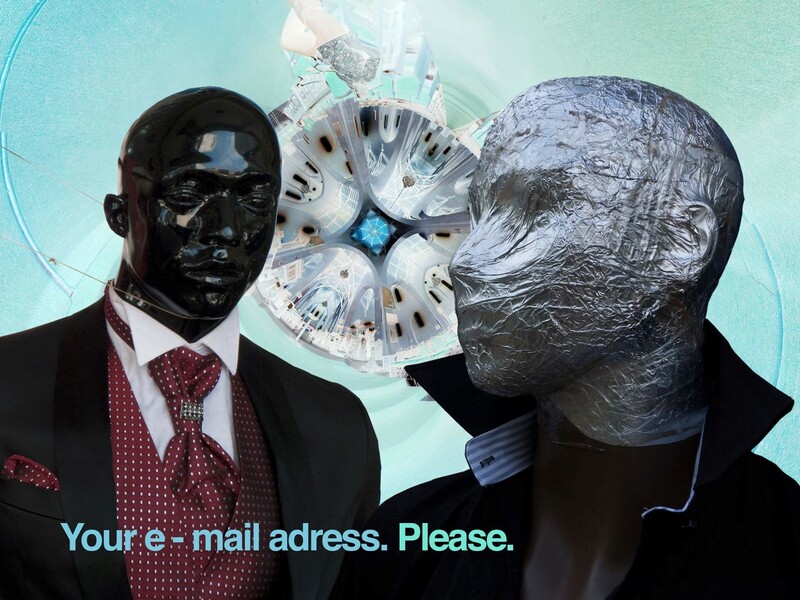 Brilliant pieces, but also a cruel recrudescence in particular ways. Decolonization had also been a fight for space to tell the African narrative. Then, through sheer, evil willpower of decolonizers gone degenerate, the decolonization of the very local dramatic scene from European fare, had managed to remove local drama from the national theatre. Now only expatriates with money to spare could put up drama and they had little interest in The Floods. So started what today has become full-blown apartheid. Around about the time the friend told me what it had been like backstage, the terminologies, ‘Uptown’ and ‘Downtown’ theatre were already in casual usage. Via categorical sleight of hand, the degeneration of Ugandan theatre had become localized. No, it’s not bad; it’s only those guys downtown that don’t script plays, the defense went. Not scripting a play had hence become the moral divider, touchstone for what those upon whom no grace will be expended get up to. 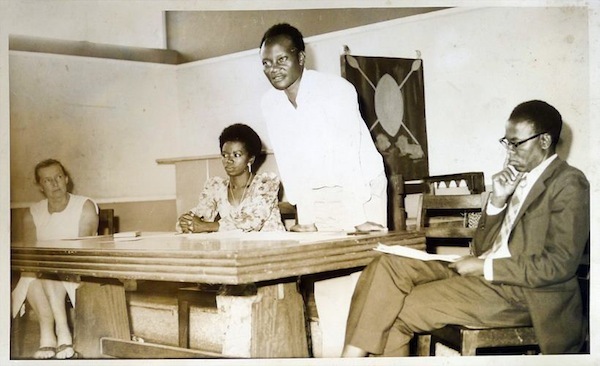 Writers with some pride never went to Kampala stages West of the parliament building. They wish that part of town does not exist. But it was not enough. Shame accompanied all discussion about theatre. The lack of professionalism had become so pungent an odour. You did not have to have roles to get things going. ‘Director’ usually meant the ‘Managing Director’, for he watched what paid, and like a clothes’ merchant down in St Balikuddembe, dusted about which sections produced the most laughs, so that no dramatic piece survived reduction to slapstick. He was the managing director of the chaos, loudly shouting his wares. Acting ground down to “behaving on stage” (push a popularity-seeking actor off stage). It might look like innovation when the managing director emptied his kitchen of pots and puns to set up a domestic scene—not counting his sofas, ties, brooms and dustbins. But what it also described was lack of authority on the part of those that ran theatres. Earnings dropped. Ugandans stayed home. Why blame them when what came on stage only provided further fodder of abuse to their country and name? How do people who care buy tickets when those who call it their vocation abuse theatre? And yet, it would seem, this night was darkest before dawn. Within the last three years, as if in defiance, names and titles have arisen from Uganda to not only bring back a pride only our grandparents could once afford to feel, but also set new possibilities. The staging of Silent Voices, written by Judith Adong, in July and August 2012 sent no less than a shockwave across the sector. Silent Voices, whose courageous dramatization of the war in northern Uganda caused fears of a backlash, brought back the kind of quality and professionalism we had ceased to think possible in the country. 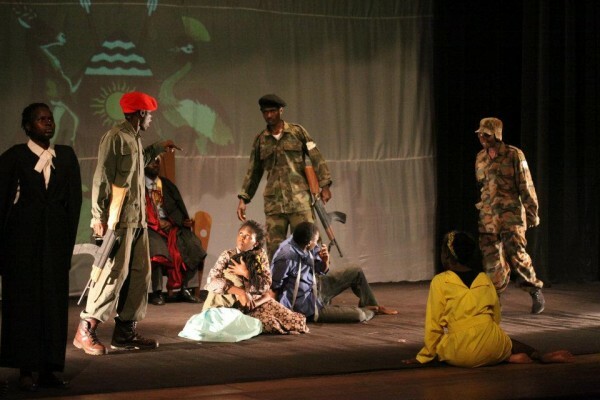 From the Alfajiri Productions premiere of “Silent Voices” at National Theatre in Kampala 2012. Then as if belatedly realizing the power of theatre, the authorities rose up in late 2012 and with Hobbesian zeal, clamped down on theatre. The River and The Mountain is a brilliant play, brilliantly directed by Angella Emurwon, the staging of which gave air to some of the brightest, young acting talent in this country suffered abuse from the State. It was booked to play at the National Theatre. Then, suddenly, the posters disappeared. I was one of the lucky few who watched it and I marveled at how Beau Hopkins had gotten under the skin of Ugandan society. Like any well-executed large canvas, it captured much of what makes contemporary Uganda. That only one aspect of that was picked upon to persecute producer David Cecil and later the actor, Keith Prosser (whose one line “I used to be in advertising skewered religious hypocrisy with matchless accuracy), said much about the depravity the Ugandan government has fallen once into. The renaissance of professional theatre in Uganda had no grace period. Upon its birth it was branded an evil child by the authorities. When I heard the story from my friend, I did not laugh. Perhaps it was too funny I did not risk breaking a rib. Perhaps I was not prepared to knock a sector I understood to be a victim rather than perpetrator of mediocrity about. Perhaps I had a premonition of what was coming for us in the arts. AK Kaiza is a Ugandan writer. … exciting read. I hope Wankoko can be translated soon (to English), and staged professionally without a doubt. I read it in Luganda and that work is full of warnings, perhaps even to its own writer. thanx Kaiza, for that concern. so should we say Ugandan serious theatre was also burried, in the same era when Bryon Kawadwa, Serumaga and many other dramatists and actors died???! what used to be BACK STAGE is now ON STAGE. Karaoke has taken up theatre in Ug. Thanx KAIZA, its right and fitting, to note that Ugandan theatre has greatly declined and something has to be done.